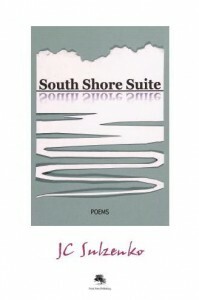 J.C. Sulzenko tells us in the introduction to her soulful and varied poetry collection, South Shore Suite … POEMS, that the inspiration to gather her poems together from the past four decades was Canada’s sesquicentennial celebration. These poems not only celebrate this Canadian milestone but also one Canadian woman’s life, her appreciation of nature, her empathetic recording of other lives and her awareness of time’s passing. To do this, she divides the collection into four segments, the first and second being a meditation on the role of nature in a life spent in observation and appreciation, the third illustrates her keen observation of character in a segment appropriately entitled “Cameo Appearances,” and in the fourth she looks at aspects of time, creating a sense of closure for the collection as a whole. as waves advance and waves withdraw. One of the longer poems of the first section gives us the demise of a man in the very nature that the poet has glorified. His death stills the beauty – this place where he can “find no wonder” so that by morning he is reduced to “an object to recover with a boat and body bag.” The language here shifts from the wonder of nature to the blunt and painful reality of death, and it is this shift that stops readers and makes them, with a renewed reverence, appreciate the encompassment of nature, holding both life and death. These are the moments that occupy a life, give it its shape and resonance. In the poem “Light on Bay,” Sulzenko gives us an empty lighthouse, bereft of keepers, as a soulless entity: “those lighthouses, empty now, still shine/a safe course for ships, but without a soul”. This poem is an exploration of the family that lived there, of the era that allowed that life choice and both are strikingly eulogized in the calm sadness captured by those closing words. One of the most poignant poems in the last section chronicles the loss, through euthanasia, of a beloved pet. It describes in almost clinical terms what the vet must do, but ends with the human need for comfort. “He returns to the living room/Places his hand on the spot/where she died/Still warm.” It is here that Sulzenko is at her strongest. She leads us with fine, careful but stripped-down language to a place where we must contemplate the savage, uncompromising emptiness that remains. The poems in the first section and half of the second are not titled or numbered and the resulting sense of flow and inclusion will either make the reader feel the unity of the work or be annoyed by its formlessness. I found it on first reading a bit disorienting, a feeling that lessened with each reading as I came to appreciate how each poem leads to the next and leans on its neighbouring poem for increased poignancy. However, a small quibble with the book production: the font was a sans serif, which I did not enjoy, and the kerning for certain words seemed clumsy. 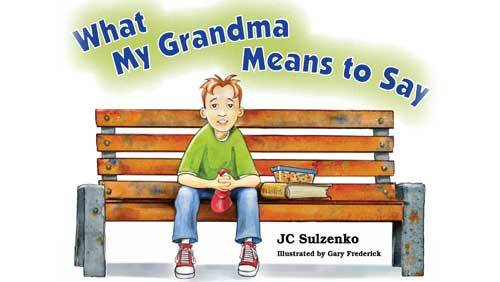 As readers we thank Sulzenko for honouring Canada’s 150th by gathering her poems into this enlightening collection and for her clear-sighted vision of our human condition. Deborah-Anne Tunney is a former communication officer and a writer of both prose and poetry whose work has appeared in many literary journals. 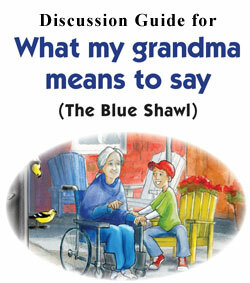 Available at Octopus Books (116 Third Ave.), Singing Pebble Books (206 Main St), Books on Beechwood (35 Beechwood), Perfect Books (258 Elgin), from the publisher and www.jcsulzenko.com.